A wet day for week four of my Keeping a Sketchbook course. We had hoped to be around Macquarie Street in the open, but the rain drove us inside. 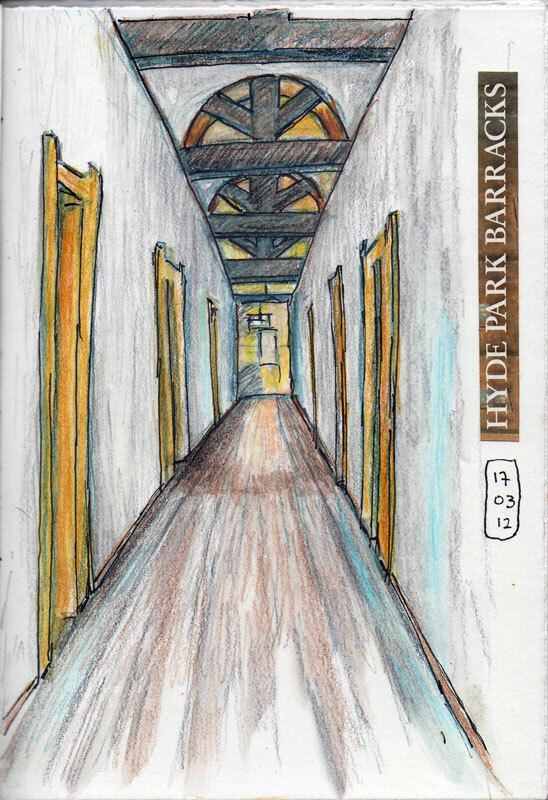 We went to the sketcher-friendly Hyde Park Barracks Museum. 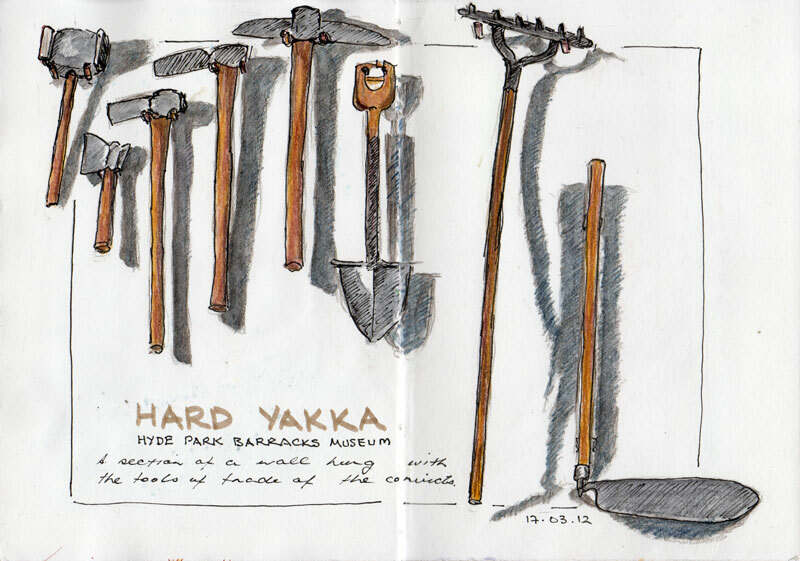 First we sketched in a room with a wonderful array of convict tools on the wall. There is even a little ledge right opposite to perch on while you sketch. We were looking at tonal values this week. These tools with their distinct shadows made a good subject. From there we went to the hammock room on the top floor. 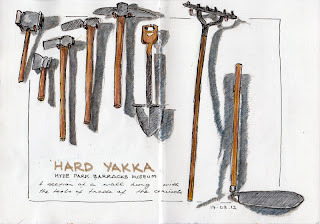 Last time I went to this museum I got waylaid on the second floor and when I went upstairs I was presented with the sight of all these red shoes as other Sydney urban sketchers lay in the hammocks to sketch. 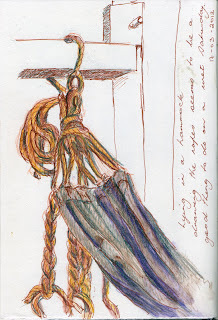 (Sydney Urban Sketchers wear red shoes?) I've wanted to get back there to do that ever since. I've also wanted red shoes, but I got them sooner. So we had a nice relax in the hammocks, sketching all the while. 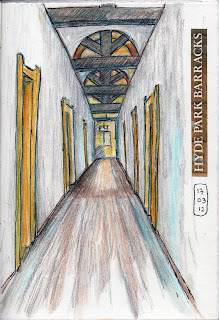 Then I joined one of the class in the corridor doing a perspective study. I sank to th e floor to sketch. I think you can see that from the picture. I think we made the absolute best of a wet day. The buildings in Macquarie Street are pretty amazing too, but inside this museum is something special.